Hobby Lobby had all Christmas craft supplies and decorations at 50% last week. 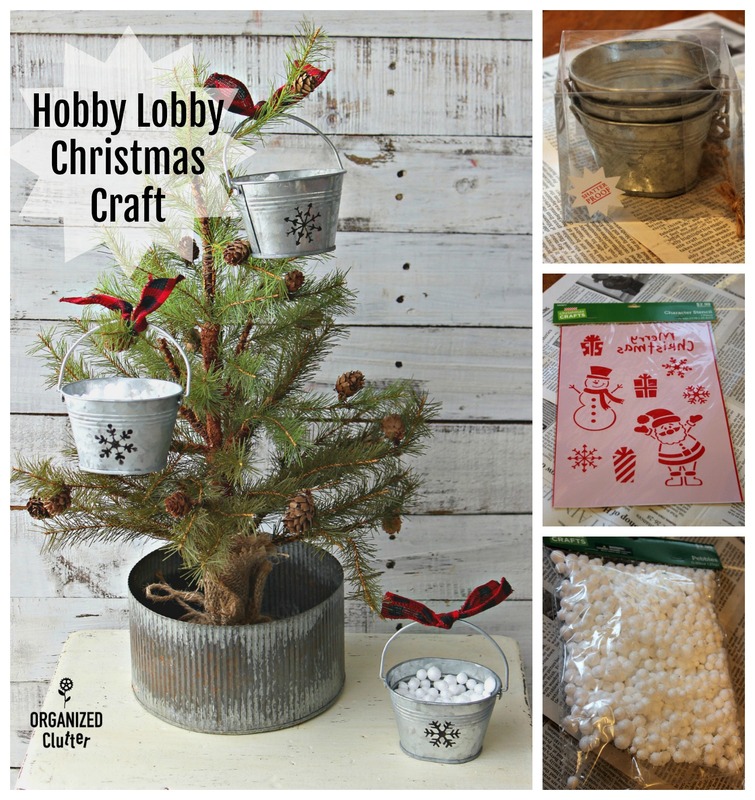 I will be sharing some very easy and inexpensive craft projects using Hobby Lobby supplies. 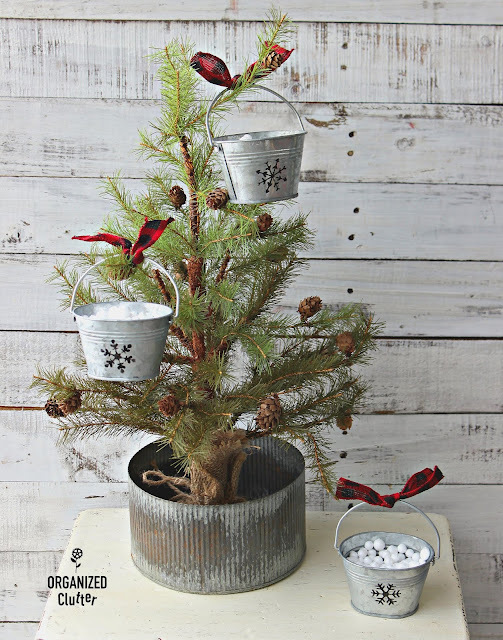 First up are these little galvanized bucket ornaments. They are cute, but very plain. Just a jute bow and string hanger attached to the handle. I like that they are not SHINY. There were three in the package selling for $7.99. I purchased them at 50% off. They just got an easy up-cycle! Also from Hobby Lobby this inexpensive Christmas stencil. $2.99 regular price but also 50% off. This package says it's "pebbles" but I think it looks like snowballs. Also priced at $2.99, but 50% off. I used Ceramcoat Multi-surface Paint for stenciling on the metal. 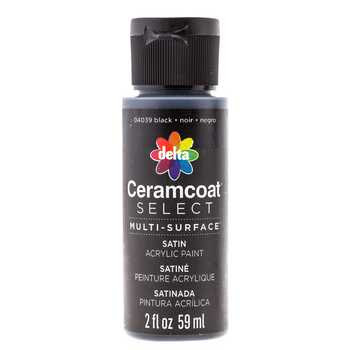 The paint is available at Hobby Lobby too. I stenciled the three different snowflakes from the Hobby Lobby stencil onto the pails. I wasn't able to tape the stencil in place so I held it down tight while stenciling. (I had some screw ups). I just wiped the paint off with a wet paper towel and started over. Until the paint is cured it comes off pretty easily. You can also use Krud Kutter spray to remove it. Just keep trying until you get a good clear stencil. Next, I squirted hot glue in the bottom of the buckets and added the pebbles/snowballs. They were stuck together somewhat. 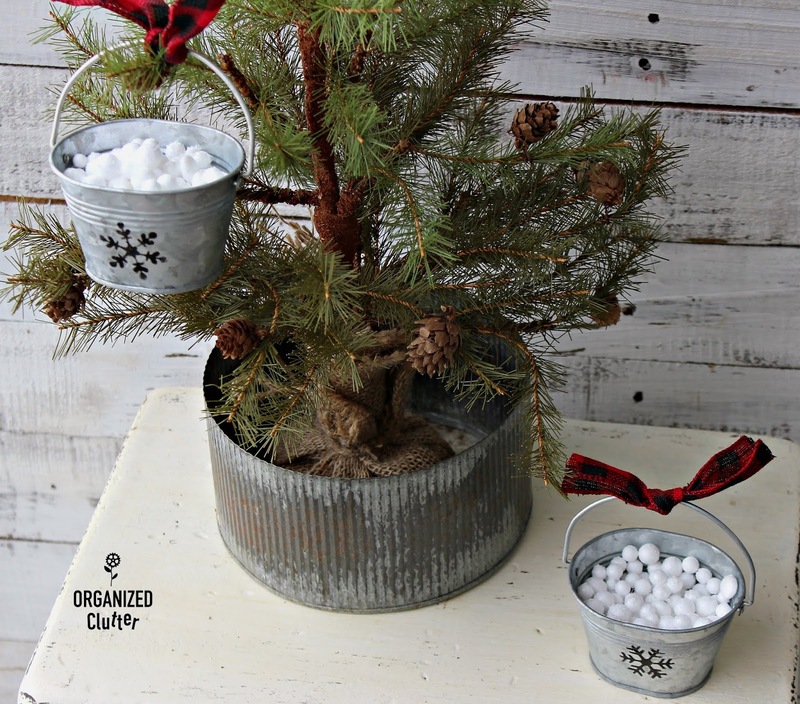 I used regular white craft glue to add the loose snowballs to the glob of snowballs stuck in the bucket. I tried to use hot glue for this and there were too many strings and mess. Craft glue worked better. Then I simply added a piece of red/black buffalo checked ribbon. I didn't get the ribbon at Hobby Lobby. I had it on hand. 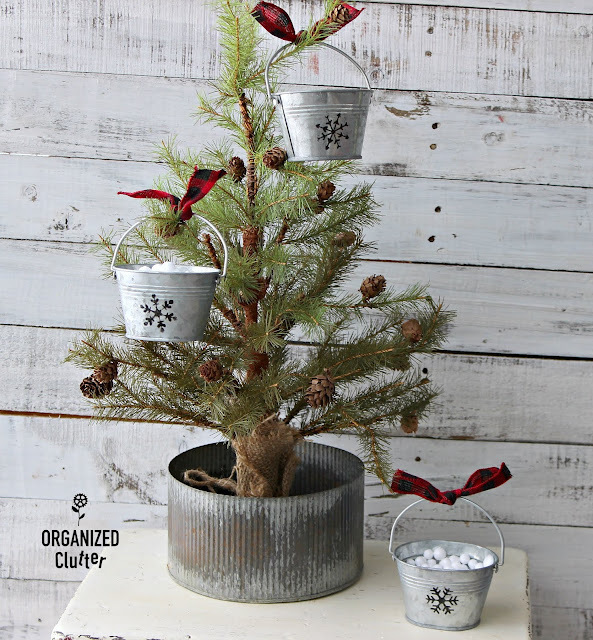 My little up-cycled buckets look much more festive! Like craft show decor. Not mass produced. You can hang the pails on the tree or just set them on a table or mantel too!